Literature professor Simon John James and physicist Richard Bower were both involved in the curating the exhibition, Time Machines the past, the future, and how stories take us there. Their conversations quickly revealed to them the many, wildly various, meanings of time travel. Here, they discuss how time travelling in literary and scientific terms might, one day, coincide. Simon John James: Richard, what does the term time travel mean for a physical scientist? Richard Bower: Time travel is the basis of modern physics, and, for anyone that looks up at the night sky, an everyday experience. When we view the stars and planets, we see them, not as they are now, but as they were in the past. 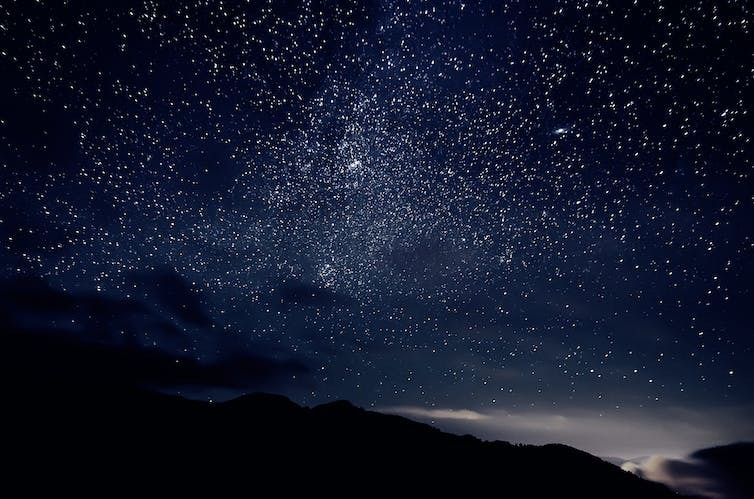 For the planets this time delay is only a few minutes, but for most of the stars in the night sky, thousands of years. For galaxies, faint smudges of light made up of very distant collections of stars, the delay can be millions or billions of years. By observing the faintest galaxies with the worlds latest telescopes, we can look back through time and watch the whole history of the universe unfold. One of the key concepts of Einsteins Theory of Relativity is that objects exist in a long line in 4D spacetime, a unification of time and space. Although all observers agree on the length of the world line that connects two events, they may have different views about whether the events occur simultaneously, or at the same location but at different times, or a mixture of both. For example, while I sit at my desk to eat lunch, then work a little and get up to go home several hours later, a (very) fast-moving observer will see me whizz by eating lunch and immediately getting up to go home. In Einsteins theory, time and space are mixed together: we cannot think of them separately. It therefore makes best sense to think of myself as always moving along that 4D world-line, travelling into the future at the speed of light. But is it possible to cheat the safeguards of Einsteins theory and to travel backwards through time? At face value the answer is no, but then again, the science of earlier generations would have said it was impossible for mankind to fly. Perhaps all scientists need is inspiration and a cunning idea. SJJ: Well, you can find a lot of inspiration and cunning ideas in fantastic fiction, of course. 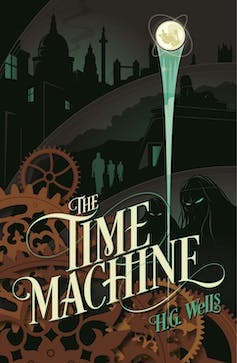 Perhaps the most famous time travel text is The Time Machine (1895) by HG Wells, which was the first to imagine humans travelling in time through the use of technology. Other of his imaginations have been realised he imagined and wrote about the technology of powered flight before science made it possible in real life, for example. Wellss innovative idea led to modern time travel stories such as Back to the Future or Doctor Who. But many different kinds of stories travel in time: Aristotle observed that a good story has a beginning, a middle and an end but they do not have to be in that order. Even a text as ancient as Homers Iliad does not begin with the judgement of Paris, but with Achilles sulking in his tent in the ninth year of the Trojan War, and the story unfolds from there. Whodunnits usually dont tend to begin with the murder, but with the discovery of the body, and the plot is reconstructed by the detective as the story moves both forwards and backwards. This is the temporal freedom of narrative time. RB: Whats freeing in the literary device is for practical time travel the central obstacle. Although Einsteins theories allow us to stretch and shrink time, the causal ordering of events remains constant. While, in your example, the life of the murder victim might experience their life flashing before their eyes in their dying seconds, the experience of their life will always precede the moment of death. But in The Terminator, to take one example, the future human civilisation finds a way to loop the protagonists world line so that he travels back in time to intercept the cyborg and avert Sarah Connors death. In the inner regions of a spinning black hole, space and time are mixed so that this is tantalisingly close to possible, but Ive never knowingly met anyone that made their way back from the future this way. Perhaps the looped world line cuts off the old future and pops out a new future, creating parallel worlds that exist at the same time. From the conventional point of view, theres rather a lot wrong with the idea of looping back in time. But modern interpretations of quantum mechanics suggest that the world may actually consist of many parallel futures, constantly splitting off from one another. All of these futures exist simultaneously, but we are only conscious of one of them. From this viewpoint, there isnt so much to fear from time travel. The looped world line simply creates another layer of possible futures. SJJ: Im fascinated by time travels flexibility as metaphor for talking about many different kinds of academic research. History, archaeology would be obvious examples, but in a recent project Ive been really inspired by work in the psychology of autobiographical memory. Narrative is not just a property of literary and other kinds of texts: it has been argued that the human sense of self is constructed from our narrativising of our own experiences within the passing of time: that memory and planning for the future are a kind of mental time travel which allows us to constitute identity. Here my literary example is Charles Dickenss A Christmas Carol. Scrooge travels back to memories of his past selves, and by so doing is encouraged to change his ways for the better in the future. We could think of the despised, neglected miser of the vision of Christmas Yet to Come, and the beloved happy Scrooge of the novels ending as those inhabiting two different parallel worlds, perhaps? RB: Its certainly fascinating how literary ideas challenge scientific understanding perhaps both of those parallel futures might be proved equally real yet.